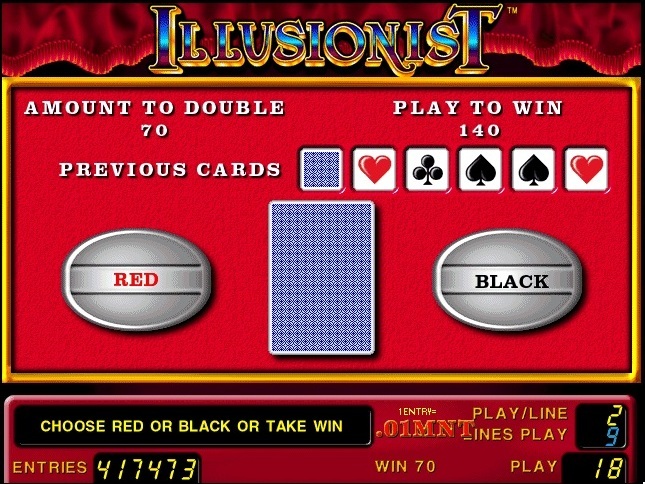 Be caught up in the fascination of Illusionist. 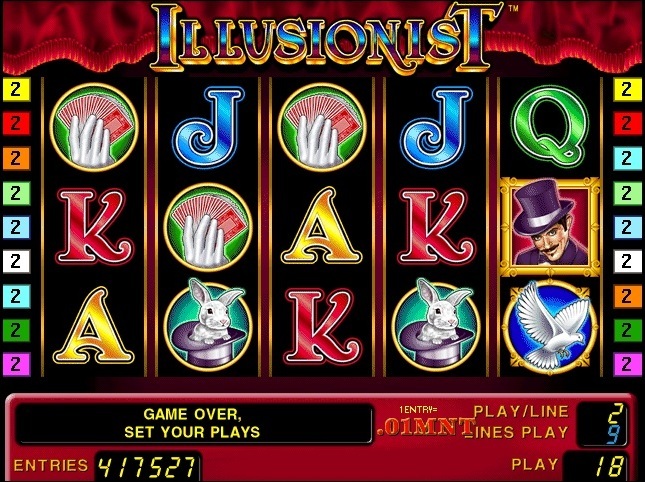 Keep watch of this talented magician as he takes hold of the reels to increase your wins. His quick hands and astounding magic will together reveal your fortune. This intriguing 9-line, 5-reel video game will leave a lasting impression. 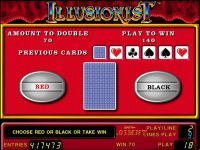 Illusionist, much more than meets the eye. Scattered HANDS substitute for all symbols. 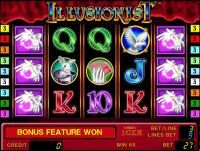 3 scattered HANDS on both reels 1 and 5 trigger the 15 free games feature. During the feature, the HANDS on reels 1 and 5 are held and 15 respins are awarded on the middle 3 reels.